A whirlwind of applause filled the Lakeside Middle School Theater where students charmed audiences with their brains, heart, and courage on a grand opening night. Performing Lakeside Acting Youth’s (PLAY) production of “The Wizard of Oz” took the yellow brick road to the red carpet in a dazzling array of stage technology and classic thespian gusto. 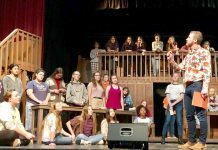 Since PLAY took the stage in 1999, it has empowered Lakeside students of all talents and ages to seize the spotlight. This performance exemplified those talents without exception. Each of the hundred casts and crew brought the Land of Oz to life, from the cataclysm of furniture flying in a tornado to the panoramic sway of a flying monkey. Shelby Garza helmed the reigns as the adorable Dorothy Gale alongside the show stealing, live-action Toto the dog at her side. Together they proved that no enduring rendition of the Jitterbug could detract from her ruby red place on the stages of the future. Her performance paired with Amber Welch’s outstanding jesterly Cowardly Lion had fans of the classic film adaptation charmed in admiration. A melody of the arranged cast in accompaniment drew viewers closer, in a way only compared to the flick of Glinda the Good Witch’s wand. 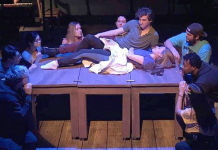 Although every show has its hiccups, notable moments amongst the juvenile cast showed what true character lies below the layers of fabric and stage make-up. Especially on opening night, these performers took their hits with the grace and added some comedic dissing of their seasoned adult counterparts. Set designers and prop artists spectacularly teleported the halls of the Emerald City and the plains of Kansas to the East County. Where the Wizard’s flaming prowess towered above all, once stood the flittering flurry of sleepy snow in a field of poppies, ushering in the flow of Dorothy’s journey like one would read it right from within a book. Utility of projection effects, superior lighting, and handcrafted carpentry in an ensemble of stage magic took audiences over the rainbow and back, indeed. 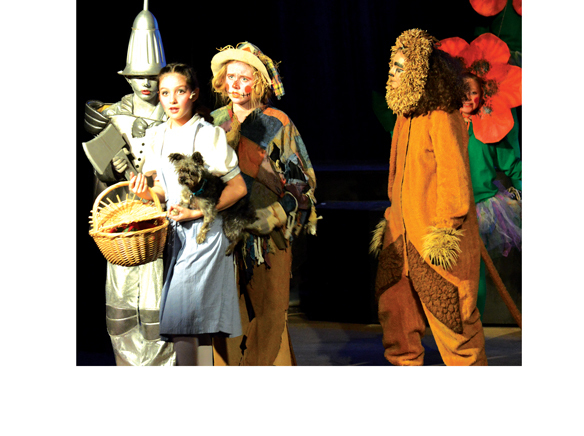 Though the Lion, Scarecrow, and Tin Man earned their own respective accolades, PLAY serves its youth purely gratis, operating solely on the donations and continued support of its community members, parents, and official sponsors. 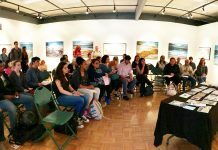 Programs like these purvey the necessity for continued patronage and solidarity for the arts in schools, and for children to continue cracking open the pages of the past in order to pave way for a more colorful future.